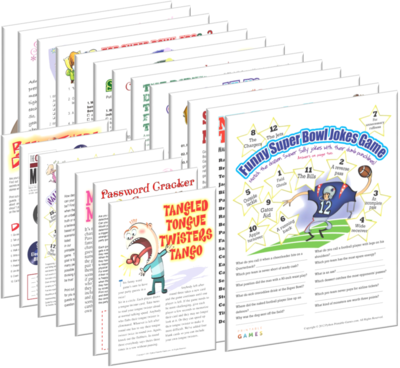 Lots of fun recipes to start your Sports Theme Party. Where a jersey or any sports t-shirt to the party. Try making the cheese ball and placing in the middle of your table for a centerpiece or fill a container with small bouncy balls. Cut in half and prepare sandwiches. 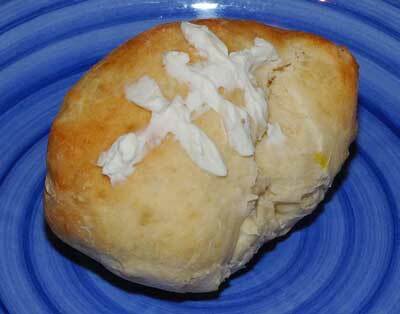 In a sandwich bag with the corner snipped off add softened cream cheese. to resemble an American football. Using Cocoa Krispies prepare treats according to the package directions. Shape into footballs and let set for one hour. Before serving decorate with white icing stripes. Prepare a Cheese ball and serve with round ball shaped crackers. 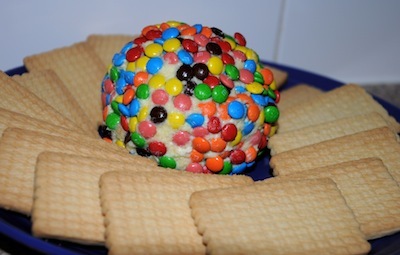 Frost bottom and sides of cupcake and place on top of cookie leaving an edge in the front for the baseball hat. Decorate with frosting or sprinkles. 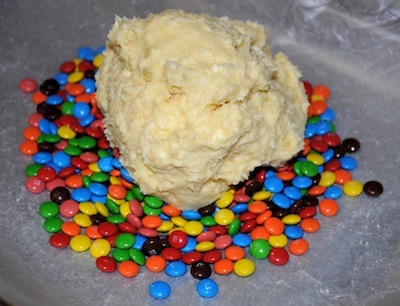 In a mixing bowl combine cream cheese, butter and vanilla. Cream together. Add in powdered sugar. Blend. Stir in cookie crumbs. Shape into a ball. Lay out a sheet of waxed paper and scatter more cookie crumbs (or whatever toppings you are using) over the top. 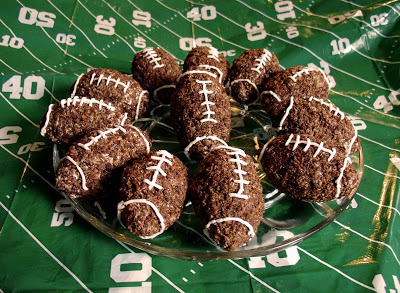 Place dessert ball on top of crumbs and roll around to coat entire ball. If mixture is too soft to form ball, lift edges of waxed paper and press cookies into cheese mixture. Wrap up in plastic wrap and chill several hours. Serve with graham crackers, plain vanilla cookies or shortbread cookies. 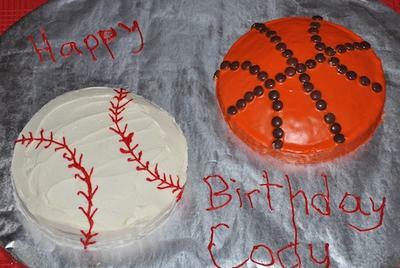 For a sports theme party we made one cake mix and divided into two round cake pans. After baking we left the round top on the cake and didn't level it off. One was frosted with white and added red frosting for the laces using a round tip. One cake was frosted orange, we used cookie frosting that comes in Wilton tubes because we had it on hand. We added Reese's pieces for the brown lines but you could also use M&M's. The type of frosting dried smooth. Easy and they were a hit with the sports fans at the party. Make your own bouncy ball. 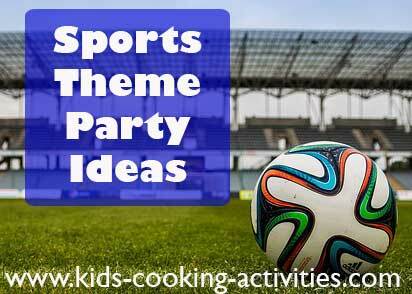 Back to Theme Dinner parties from Sports Theme Party.